On July 11th at the Summer Fancy Food Show in Washington, D.C., one of these Silver Finalists will become the recipient of the Gold Award. Oh no! The iconic Cadbury Somerdale site in the UK is up for sale. Last January, Kraft acquired this nearly 200 year old company for close to $19 B. Considered the largest European beverage and food deal on record, it also represents the loss of historic confectionery legend started by John Cadbury in 1824 in Birmingham, UK. As a Quaker, John Cadbury believed that traditionally served alcoholic beverages such as beer and wine lead to poverty and morale decay. Cadbury introduced alternative beverages to the market by serving, cocoa, hot chocolate, coffee and tea in his Birmingham shop. By 1842, Cadbury was selling an array of cocoas and drinking chocolates (11 types of cocoa and 16 drinking chocolates). Soon the company turned into a family affair as other family members came to support and operate the Cadbury empire. Along the way, Cadbury supported his employees by building living quarters near the production factories allowing families to be close to work and assisting employees with maintaining a comfortable work life balance. The 220 acre Somerdale site includes 600 residential units along with various confectionery production equipment. 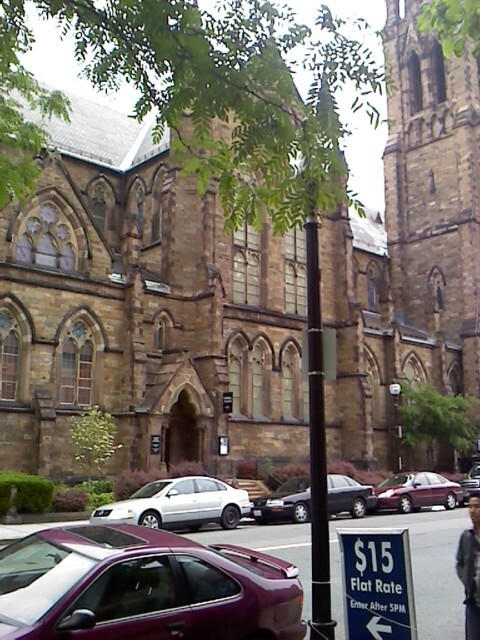 I just landed in Boston a few hours ago and I’ve already had a little tour of the area. During this trip I am staying at the historical The Boston Park Plaza Hotel and Towers on Park Plaza. Usually, I stay at The Liberty but it was sold out for this trip. The minute I landed, I was off to the Flour Bakery on Washington Street. However, the weather was gloomy and it started to rain. Typically I would say, “Who cares”. 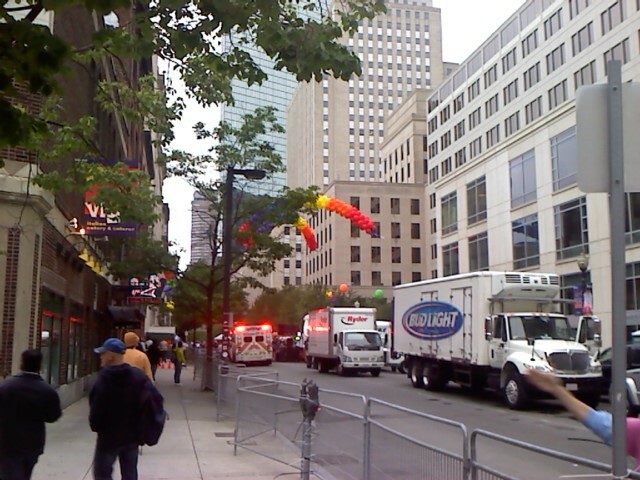 But the construction on Arlington and the Gay Pride Parade block off some of the roads. I am pretty savvy at navigating areas, but I didn’t want to risk getting lost in potentially bad weather. 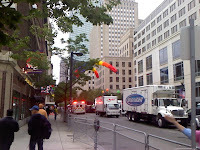 So, I watched the parade attendees dance in the streets for a hot moment and decided to have an early dinner at McCormick and Schmidt’s until the weather improved. After dinner, I went back to my room to grab a hat and attempt to find H&M. On my way up and down Newbury Street I stumbled upon the Hotel Chocolat at 141 Newbury Street. Many moons back I blogged about their cacao plantation and hotel experience. Although I was disappointed I couldn’t get to Flour Bakery, this is a superb find. Upon entering the brightly light modern location, I searched the shelves for their hot chocolate. Opps! Excuse me, Hotel Chocolat calls it Liquid Chocolat. Their Carmel Chocolate caught my eye first. It has these cute little cream colored hearts mixed in with light brown chocolate shavings. I knew my husband would love this, but call me greedy. It is all about the Classic/Dark Chocolate. 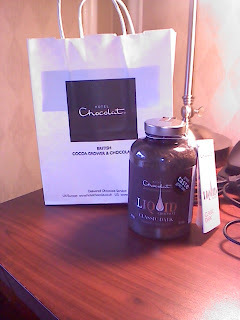 Hotel Chocolat also had an Aztec Chili Liquid Chocolat and pure cocoa powder. After an employee offered me a tasty heart shaped chocolate containing hazelnuts, I selected a jar of their Classic Dark Drinking Chocolate. What I loved best was that the jar was plastic. This makes it so easy to travel to my second destination prior to arriving at home. I still have another night to get to Flour Bakery. I haven’t given up yet. On a recent excursion to Hubble & Hudson, a local gourmet food retailer, cooking school and restaurant extraordinaire, I came across wonderful French simple syrup. For the past few months, I’ve been craving Vanilla Steamer beverages and my mission was to simplify the "make it from scratch" process. Upon frothing the heated beverage, you can see flecks of the vanilla bean. The best part of it all was no additional sweeter was required as the syrup was all encompassing. Although the price point of this delicacy can be a little steep at $12 to $16 per bottle, it is absolutely worth it! A homesick Californian living in Texas that loves hot chocolate! I enjoy it so much I even started my own hot chocolate store called CocoaConnoisseur.com.